In the Northern Hemisphere today, the third Monday of January, is known as ‘Blue Monday’, the day of the year where supposedly people would be the most depressed. The holidays are over, the days still dark and cold, and spring is miles away. Myth or not, January was never my favourite. In Singapore, our January is much better. In Singapore, the holidays are never over. In a multicultural town like this, there is always something to celebrate. And with around three quarters of the population being of Chinese descent, the biggest celebration of the year is yet to come: Chinese New Year. Or, as it is called in politically correct Singapore: the Lunar New Year. Last week we managed to accidentally witness the Chinese New Year lights up, stuck in traffic on our way to dinner. At this popular event the hundreds of galloping silk horses and golden coins that decorate Chinatown are lighted to ring the start of the festive weeks leading up to the New Year. The coming year will be, can you guess, the year of the horse. 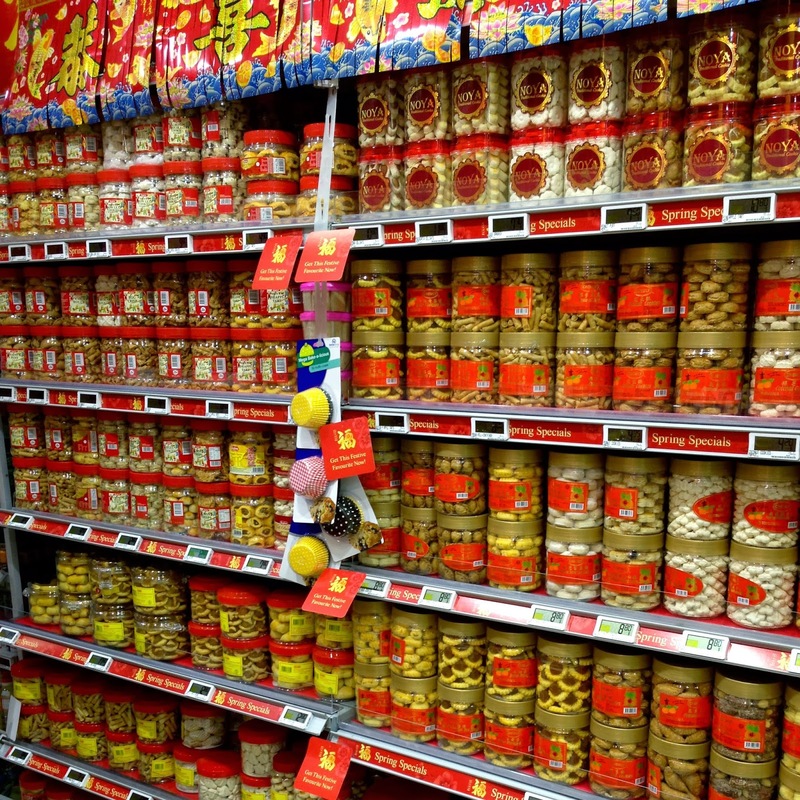 Supermarkets are filled with red and gold, with bright pink blossoms, with heaps of oranges, red-lidded boxes of special biscuits, tinned strange seafood and many, many forms of decorative horses. Shops and houses are decorated with trees laden with oranges, colourful plants and frilly plastic pineapples. But that is not all Singapore has to offer in January. This week saw the celebration of Thaipusam, a Hindu festival where brave Tamil men and women honor their gods in a spectacular way by piercing themselves with metal rods and spears. We opted for the friendlier Pongal festival, another Tamil fest, which celebrates the harvest, where milk is offered to the gods. Here were saw some Friesian ladies that seemed just as happily assimilated into Singapore society as ourselves. So while Singaporeans fill their shopping trolleys, spring-clean their houses, buy new clothes, watch lion dances and decorate their houses, what do we expats do? We book a trip, off course. Because Chinese New Year also means a few days off. Thailand, here we come.